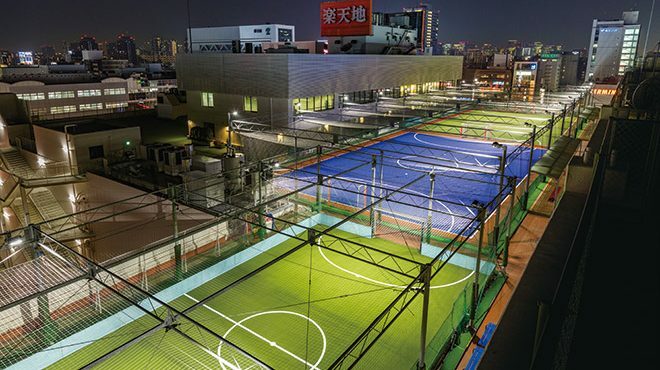 The purpose of this study was to analyze futsal players’ organization on the court in different categories while attacking and defending, in interception and shot to goal situations. We obtained the trajectories of 89 players from the under-15 category, 102 players from the under-18 category, and 110 professional players, during official matches. The spread, surface area, and Euclidian distances between the teams’ centroids were measured to represent the distribution of the futsal players on the court. The variables were analyzed during each offensive and defensive sequence, and during situations of shots to goal and interceptions, with and without the outfield goalkeeper player participation. While the players were attacking, all categories presented greater spread and surface area, compared to values when players were defending (P < 0.01). Among the categories, the results showed lower spread and area values for the younger players (P < 0.01). 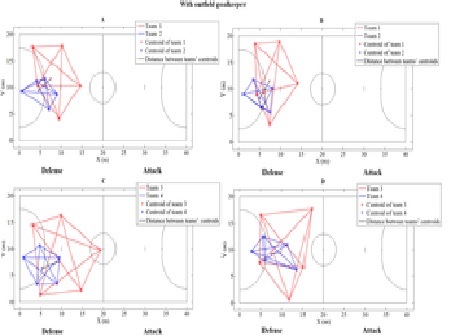 The results of spread, surface area, and distances between the teams’ centroids showed different forms of organization for each of the categories in specific situations of shots to goal and interceptions. The study provided insights that allow coaches to better plan suitable tactical training according to the requirements of each category.